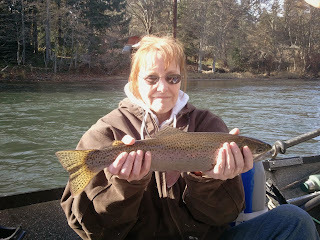 Had a great day on the upper Rogue River today with Susan and Ed. We started the day off with a bang, when Susan made her first cast and about 3 seconds into her drift a big native steelhead hammered her bait! It was her very first time side-drifting and it didn't take her long to have success! We lost one fish on plugs but bait was the ticket once again for us today! Great job and thanks again guys for the great day! 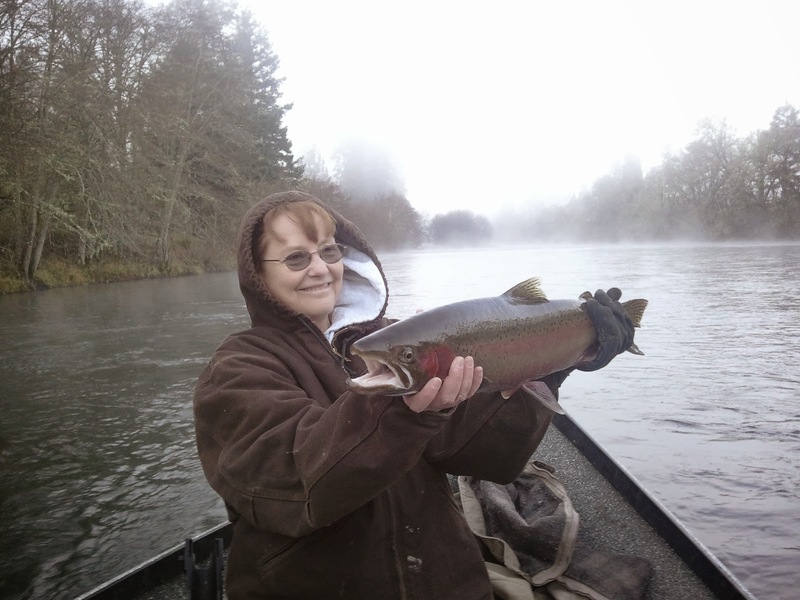 The fishing will remain good on the Rogue well into December. 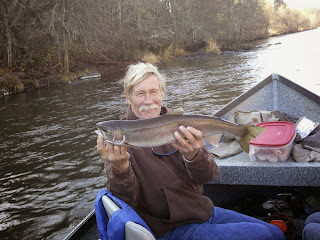 The rain that we have coming should really turn on a great bite on the upper river. Don't be shy and call or e-mail me today. You can also now call to reserve your WINTER STEELHEAD TRIP ON THE CHETCO, UMPQUA AND ROGUE RIVERS! Thanks, and I'll see you on the water this 2013/2014 season!